Xiaomi Mi A1 Receiving May Security Update - AndroGuider | One Stop For The Techy You! 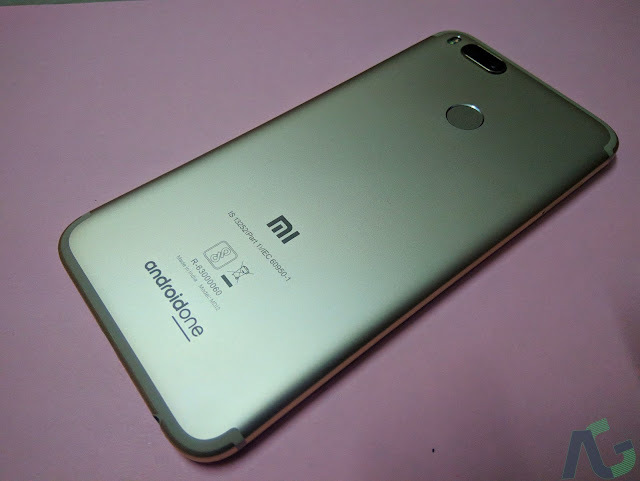 Over time, we have seen that Xiaomi pushes out the monthly security updates to the Mi A1 at the end of the month. 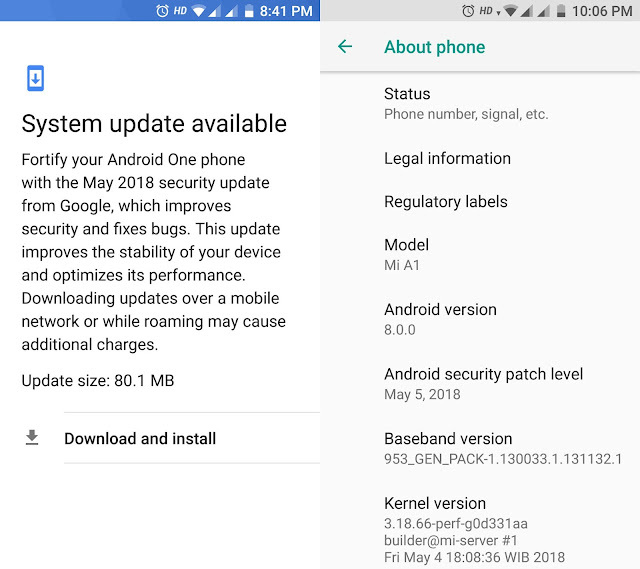 We are closing out on May, and Xiaomi has now started rolling out the May security patch to the Mi A1. Since the Mi A1 is a part of the Android One program, we expected Xiaomi to be quick at updating the device to newer versions of Android. The Mi A1 received its Oreo 8.0 update a couple of weeks after Google released the stable version of Android 8.1 in December. It's been five months since then, and the Mi A1 is still stuck on Android 8.0. Unfortunately, the May security update is also based on Android 8.0. Xiaomi Mi A1 users will have to wait longer for the Oreo 8.1 update. For the time being, the May security patch is currently rolling out over-the-air. As is the case with OTA updates, users will have to wait a while before the update notification shows up. The update comes in a package of 80MB, and it has the build number OPR1.170623.026.V9.5.11.0.ODHMIFA.